​​First though, as I write it’s the 29th December. We’re closing 2018 and about to turn the corner into 2019. I tend to use these moments to reflect on the past and plan for the future. I deeply believe that reflection helps us learn, which helps us plan better, and live happier lives. ​​What I want to share here though is not my goals, but where they come from. 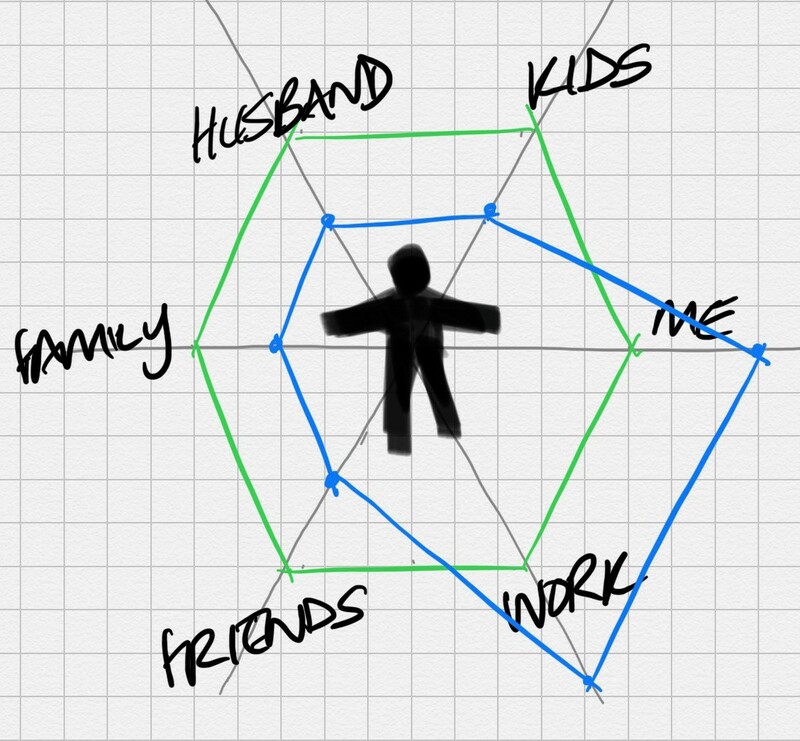 My goals aren’t much use to you, but my framework might be. And for me it’s way bigger than any one year, much bigger than setting goals, it’s about how to live a life that makes me happy. And I more or less stole it from Matthew McConaughey so really I’m just passing it on. ​​This is a post about how I try to organise my life to make me happy. Sometimes I succeed, sometimes I fail. What follows is hard. ​​Over the past few years I’ve set and hit many goals but my biggest challenge has been trying to find balance in my life. 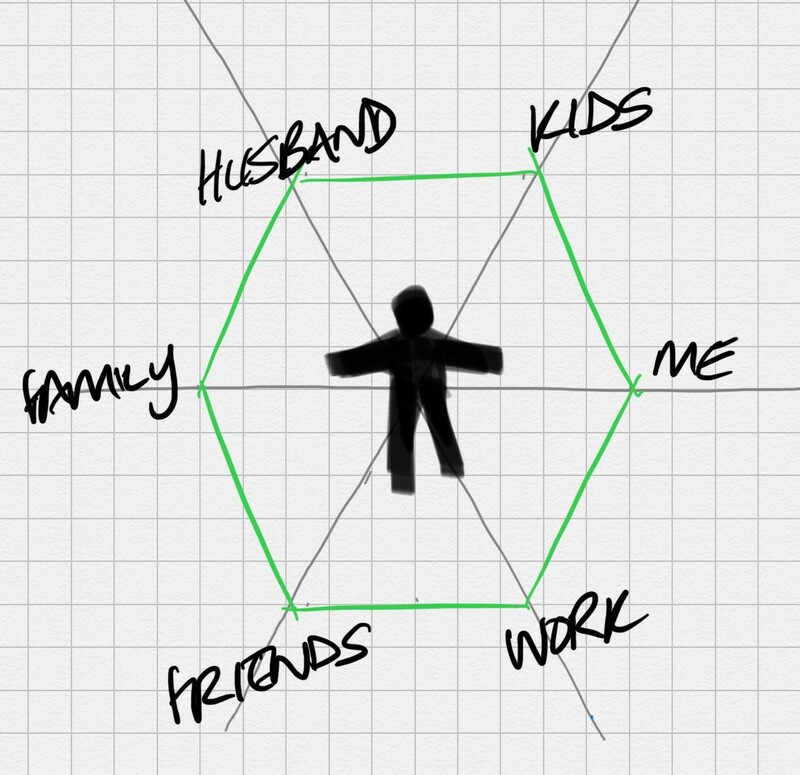 How can I be a good father to my three kids, a good husband, look after and stay deeply connected to my family, be a good friend, excel at work, look after myself both physically and emotionally, and do all this at the same time? ​​There are times when I’ve felt good, and bad, at all of the things above. Balanced, and imbalanced. I’ve a lot going on these days – especially versus the twenty something me – but everyone around me has a lot going on too, and compared to some my life is pretty simple. So I think getting the right balance is a universal need. We all have the same 24 hours in a day, and so what’s important is how we spend those hours, with whom, doing what. ​​I was a bit lost on this puzzle of life until I somewhat accidentally watched Matthew McConaughey give a speech to the 2015 graduating class in the University of Houston. I can’t remember how or why I watched the speech but thanks to this Matthew McConaughey has had a much more profound impact on my life than any other actor, and most other people. What?! Yes. ​​In a short segment of a longer speech he talked about what defined success for him. And it wasn’t just movies of course, it was a balance of things that mattered that included his family and himself. He had 5 things he balanced to achieve success and worked on them very deliberately. I’ve got six things that matter. You might have more, or less, I don’t think it really matters how many you have. What matters is that you know what yours are. For example, I’ve kids, maybe you don’t. But maybe you’re trying to buy a house, I’m not. We’re all at different stages, hence my goals don’t mean much to you. 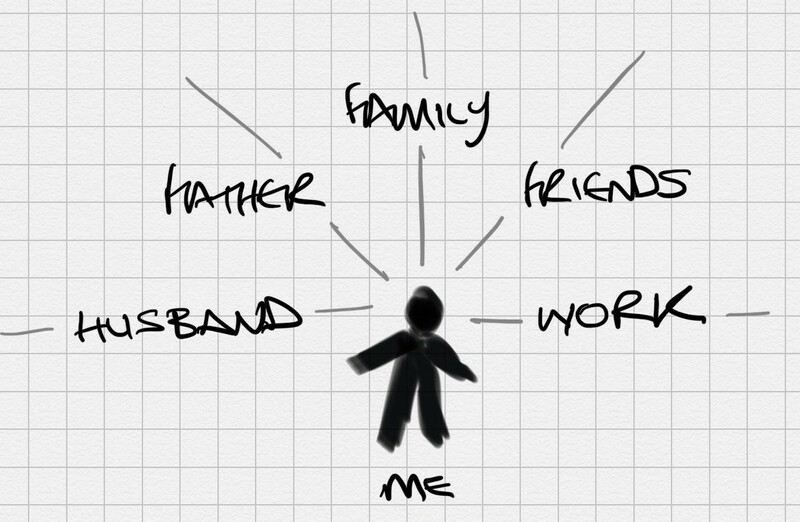 What matters is balancing these things that matter and goals I might set in each. Look after my family, stay deeply connected to my parents and siblings. Look after me, emotionally, physically. Be a great colleague, excel at work. ​​​​That’s me in the middle. You can imagine the grey lines represent energy I put into each of the six things and the green hexagon represents me having balance across all six things that matter. ​​You can’t put equal time and energy into all the things that matter at once, and so as you put time and energy into one, the others fall behind. They go into debt. You can accrue debt in one temporarily, but only temporarily, or you start to see deep imbalance. You can also build credit, but it won’t last long. The balance in credit and debt over time is what matters. ​​And then I can plot blue lines and see the shape of the imbalance. ​​So when I get back to Dublin, it’s very important that I don’t work, and that I spend my time and energy in other things that matter. ​​Below is what I do to track where I’m at. It is very basic but it roughly works. I think long term, medium term, short term. ​​Long term (months / a year) : I set goals for all the six things that matter. This is to ensure I’m not just being reactive. They are independently important and achieving all will have a natural balancing effect. ​​Medium term (weeks) : But I care more about the overall balance than the individual goals. It would be possible to hit some goals by sacrificing others which would lead to deep imbalance. So I need to check whether the goals in one area are creating problems in another. Are big gaps in credit and debt building up? If so, I need to change things. ​​Short term (days) : Goals play out over weeks and months so I need to check in more often than that. So when I go to bed each night I do a little run through of the six things that matter. Where am I at in each? In credit or debt? If I’m not feeling good about some, I ask myself what I can do tomorrow to change that. So when I think about 2019 and the goals I want to set, I first think about the balance over the course of 2018. How balanced are things now? How were they over the year? When things were imbalanced, what patterns repeated? What patterns do I want to avoid next year? That’s how I do this. ​​In 2019 I’m going to try and track this in some kind of half scientific way. Maybe I’ll score each thing that matters each day and record it in some app. If anyone has a good app for this type of thing I’d love any recommendations.